From a business or personal perspective, your financial affairs are a key concern. At the cornerstone of business and personal planning, most are concerned with tax, banking and other compliance matters. MDP looks to stretch the traditional role of a law firm by offering accounting; tax planning, preparation and controversy; and financial planning services to the mix. Why do this? Traditionally, business and individual clients would need to seek the assistance of two firms or professionals which results in duplications of efforts (meaning increased costs for professional services.) Seeing this inefficiency within both professionals, MDP effectively blends the services of an accounting firm with those of a law firm so as to provide enhanced service efficiency. Also, with both legal and financial aspects in play at the same time a consolidated approach to service is provided. 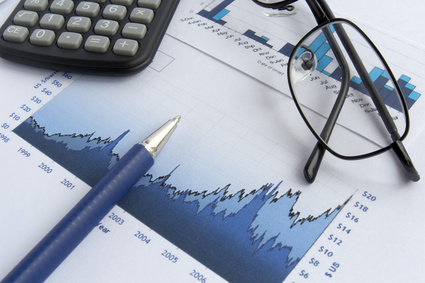 We assist in the performance of vital accounting functions tailored to best serve your particular needs. Under the MDP approach, clients can find a full scope of ancillary legal services such as tax preparation and planning, financial planning, bookkeeping, payroll, A/R, A/P and strategic planning all in one stop. What, a law firm providing accounting type services? But, at MDP, we ask – why not since it clearly makes sense? Tax planning, preparation and controversy against the IRS and state tax authorities each have an origin in tax law and related regulations. Much of financial planning is grounded again in tax law and regulations, as well as pertaining to contractual elements of loan compliance – all law related. Even something seemingly as simple as bookkeeping generally has a core basis in tax, employment, contractual or other legal compliance. Payroll, at its core, rests in employment and tax law along with laws and regulations associated with benefits, retirement and other legal based areas. A/R and A/P have their foundation in contract law, invoice compliance, maybe collection law, securities interests in property, lien releases, mortgage covenants – all being grounded in law. With strategic planning, it does not matter whether related to business growth, business transition or retirement planning – each is touched by tax, lending, employment, estate planning, elder and other areas of law and related regulations. As a result of the legal foundation in virtually all accounting services, it only makes sense that clients use a law firm. However, unlike most law firms, MDP was founded by a CPA/attorney with experience and a vision of providing a true full scope of services. The customary necessity of needing to have a law firm, accounting firm and managerial consulting firm are a thing of the past with MDP – bringing economies of scale and enhanced resource efficiency to clients. When was the last time you heard a law firm promoting such beneficial concepts?